So, I think I heard something about a new Avengers moving coming out at some point. I've not really looked into it. But, overall, people seem to be pretty jazzed about it. After you're done at the movie theater, you'll soon be able to add more Marvel superheroes to your HeroClix games, as there's a new set coming out soon called Avengers Black Panther and the Illuminati. Everyone wants to honor the gods by building the greatest pyramid they can. But only certain blocks will stack on top of others, unless you want everything to come toppling down. So, choosing the right stones and being adaptable to what's ahead matters a lot. And that's what you'll be doing in K'uh Nah, a new card game available now from WizKids. The next set for HeroClix is now available. If you're wanting to get some super punching action on, you can now pick up sets of the DC Universe Rebirth set. Full of iconic heroes and villains, including alternate versions of them that you might not readily recognize, you can add them to your collection. In The Great Patch, the city of Anvalor stands. Besieged on all sides, different factions are looking to rebuild the stronghold and keep the enemy at bay. However, each faction also wants the city for themselves. In the end, only one will rule. Who will it be? 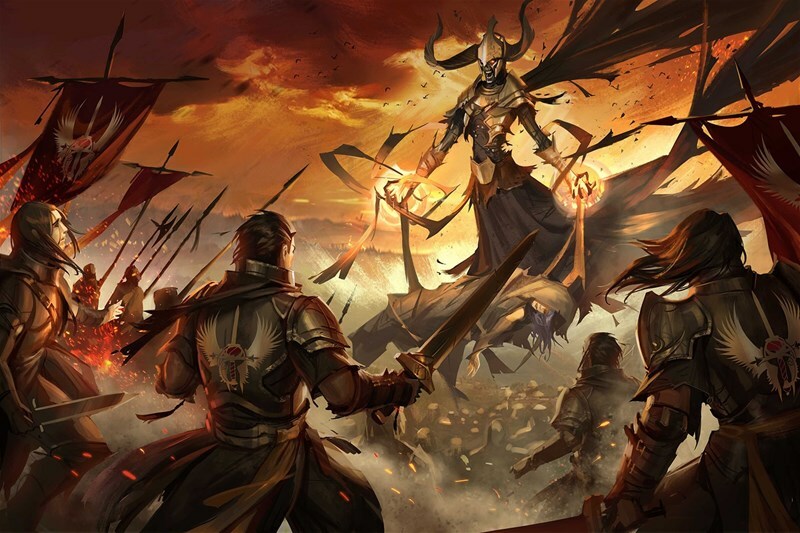 That's the story behind The Rise and Fall of Anvalor, a new board game set in the Age of Sigmar world. You can pick up your copies now. Some of you may have played the Dungeon of the Mad Mage adventure in Dungeons & Dragons. You've headed to Undermountain and headed through the dark passages therein. For those that have, and those that haven't, WizKids is giving you a new way to experience that adventure with the Dungeons of the Mad Mage board game, now available. I make plenty of typoes here on TGN. But that headline isn't one of them (I copy/pasted the name right from WizKid's site). The new game they're working on is Star Trek: Conflick in the Neutral Zone. As one would expect, it involves dexterity, as players flick their ships across the board, trying to attack one-another as well as collect Dilithium Crystals. The latest set for Pathfinder Battles, Ruins of Lastwall, is now available. Whenever I'm playing an RPG, I like to have the right figures out there to represent what I'm playing/fighting. And there's always having multiple versions so you can keep them separate. So it's nice to have another set of figs to choose from. We seem to be in another one of those cycles where WizKids announces a new game every other day or so. This time around, it's Merlin's Beast Hunt. It's a dice-allocation game where players are trying to corral magical beasts by planting fast-growing magical hedges all around them. The player with the most spectacular menagerie at the end is the winner. No, WizKids isn't closing down their game operations and opening up a tree nursery. Though that'd certainly be an interesting change of pace. No, Palm Trees is a new dexterity card game where player's hands represent their palm tree (get it?) and they must grow more fronds and coconuts. It's an exciting time for space exploration. In the not-too-distant future, we'll most likely have people on Mars. From there, who knows where we might head. Jupiter's moon Europa might be a likely spot. And that's where you'll be headed in Europa Base Alpha, a new game coming from WizKids. Build the biggest and strongest network of bases on the moon to win. Halfway there. We're halfway there to the weekend. I've got D&D coming up. Hopefully you have your own gaming planned. Or, if not, some fun plans in whatever form they may be. But, seeing as we're halfway there, we need to munch on some bite-sized gaming stories so we can have enough energy for the last half of the week. On the platter today we have: Kraken Dice Warehouse Sale Starts Today, Cthulhu Coins up on Kickstarter, Acheson Creations Releases 28mm Allosaurus and Camarasuarus, and WizKids and Vallejo Partner to Create New Paint Line. Oh, to be a kid again and have an adventuring companion and go out and explore the world. Alas, I'm an old bear now and have no adventuring companion. But I can live vicariously through Wardlings. Renegade Game Studios has announced that they're coming out with an RPG campaign setting based on the figures made by WizKids. Trick-taking games have been around just about as long as playing cards have. So, it can be tough finding one that has some new spin on it. Thrown, the new card game from WizKids, does so by using a die to determine the result of each trick. There's also a communal set of cards that players can utilize. You can get your copy now. This week is going by nicely. It's certainly been quick so far, at least. Hopefully the next two days go by quick as well and we can get to that sweet, sweet weekend. Though mine will mostly consist of cleaning out the bear den. It's supposed to warm back up some and I could use to do some dusting. So, while I make my domacile nicer, let's make your gaming tables look nicer. Today in the Terrain Corner we have: Tabletop Scenics Orc Kustom Freeks Den Bundle Now Available, Paizo Previews Cemetary Terrain Set, New Corn Sacks From Tabletop-Art, and Baueda Releases 15mm Chinese Pavilion. 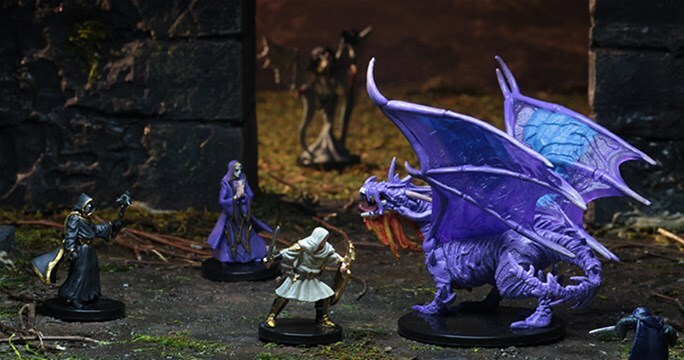 A whole new Dungeons & Dragons: Icons of the Realms figure set is available now from WizKids. 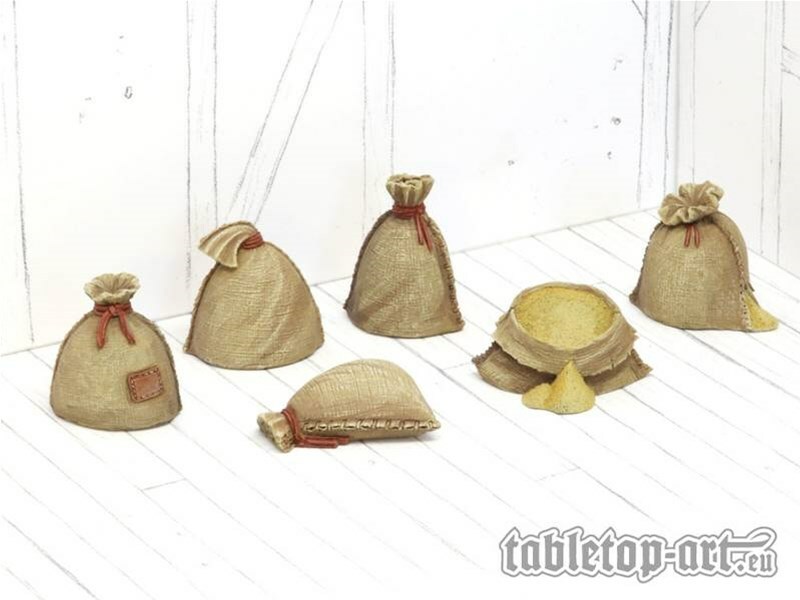 Waterdeep: Dungeon of the Mad Mage gives you a bunch more figures to use in your games. I always like to have the proper figure out there representing what my party is fighting, so having more options is always good. There's a new book out about the new adventures of Captain Nemo and his crew of the Nautilus. It's called Nemo Rising, and you can pick that up now. Soon, you'll also be able to dive deep into the book and tell your own stories in the world with Nemo Rising: Robur the Conqueror, a new board game coming from WizKids. Death eventually comes to us all. But that doesn't have to be the end of things. There's always the joys of undeath. In this preview of the upcoming Pathfinder Battles: Ruins of Lastwall set, Paizo shows off some of the undead figures you'll be getting. Just remember to double-tap. The DC Universe has been blasted apart and put back together several times. In this most recent incarnation, it's being called DC Universe Rebirth, and there's a new HeroClix set coming out celebrating it. WizKids has started with the previews of this new set that you can check out. A pair of star-crossed lovers. Feudal Japan. Fugitives on the run. It's all coming to its climactic finish in Chiyo's Secret, now available from WizKids. Can the lovers remain hidden in the town, even as others are searching for them intently? WizKids has made some big team-ups lately, and they're still going. They've announced that they have now made a partnership with Hasbro. That means miniatures and other products for such lines as My Little Pony, G.I. Joe, and Transformers. They don't say exactly what form these miniatures will take, though. Many of you out there have played Social Deduction games. If you've played Werewolf (not the RPG), then you've played one. 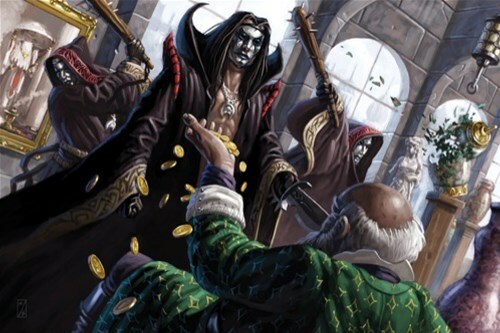 WizKids is teaming up with Wizards of the Coast to bring you a new one. It's called Ravnica Inquisition and it plays as you'd expect. You have a group of 5-10 players, some of whom are Agents of Bolas and some of whom are Gatewatch Loyalists, but nobody's quite sure who's who. That's up to you to decide. If you're looking for an enemy group for your players to encounter while out adventuring, a cult is a good place to start. In the upcoming Pathfinderd Battles: Ruins of Lastwall set, there's several cultist miniatures that you can pull out for your encounters. We get a look at them here. The Orville is Star Trek without the Star Trek. Seth MacFarlane's sci-fi TV show is a tongue-in-cheek love letter to all things Trek. Soon, you'll be able to add these characters to your tabletops in HeroClix. WizKids has announced a licensing partnership where they'll be bringing you sets based on the show. It seems that Forge World isn't the only one ready for Halloween. WizKids is also getting into the creepy vibe with their new horror dexterity game, Hako Onna. One player takes on the role of the vengeful ghost while the others are visitors to their house, but will they ever make it out alive? That's up to you to find out.